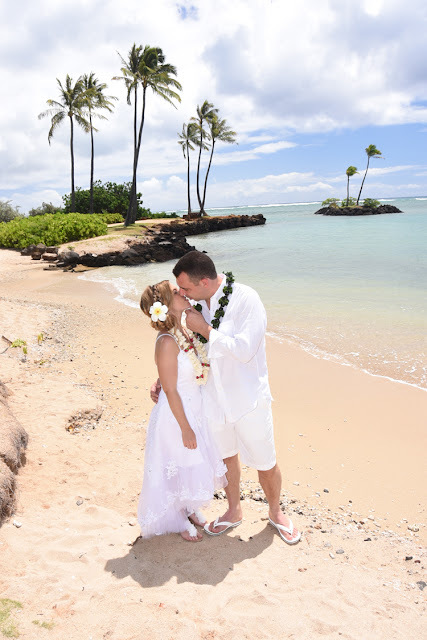 Bridal Dream Hawaii - Wedding Blog: Looks like Paradise! Gorgeous views at Kahala Beach in Honolulu. Some of the best scenery on Oahu! Wow! This "Kiss on the Beach" shot is great!